Donna’s Dress Shop has been a friend of The Vow Exchange since, literally, day one. 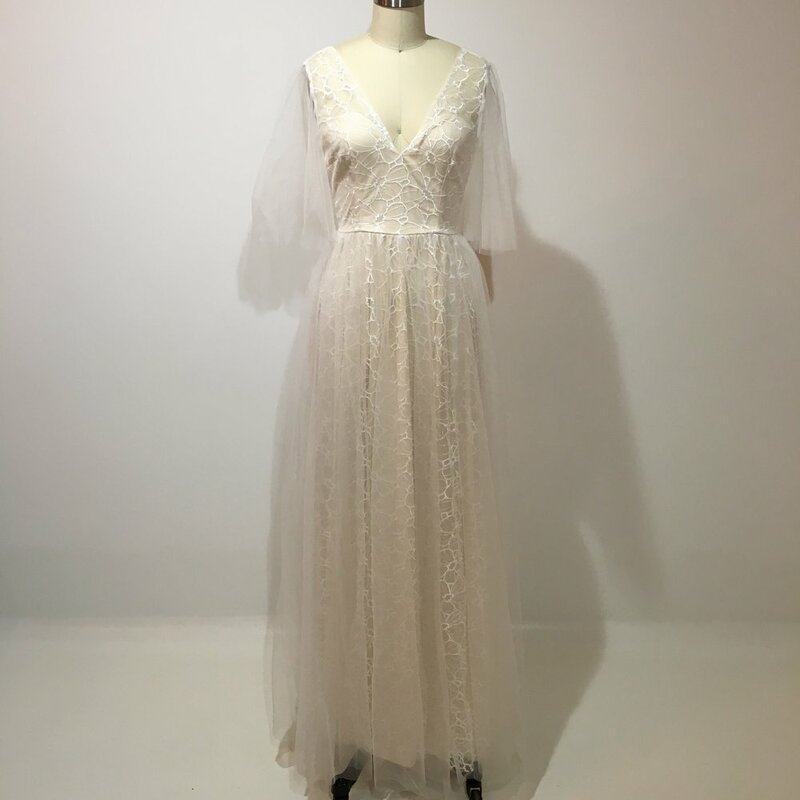 When we were planning our grand opening back in 2013, we reached out to Donna and together we organized a fashion show that took place in our brand new chapel featuring their vintage bridal collection. Donna, along with her girl squad, brought some of the best old school gowns and together we threw a party for the ages. 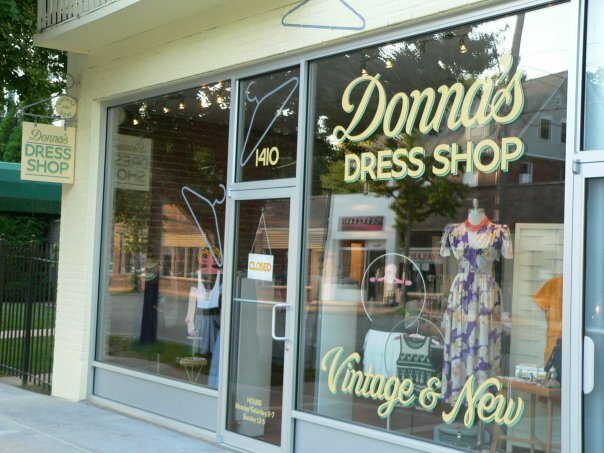 Truly, we’ve been fans of Donna’s Dress Shop since they opened, over a decade ago, in 2007. Their shop is fun and vibrant and they have the best mash up of authentic vintage finds and new vintage-inspired pieces. Just walking into their little shop on 39th street will instantly bring a smile to your face. 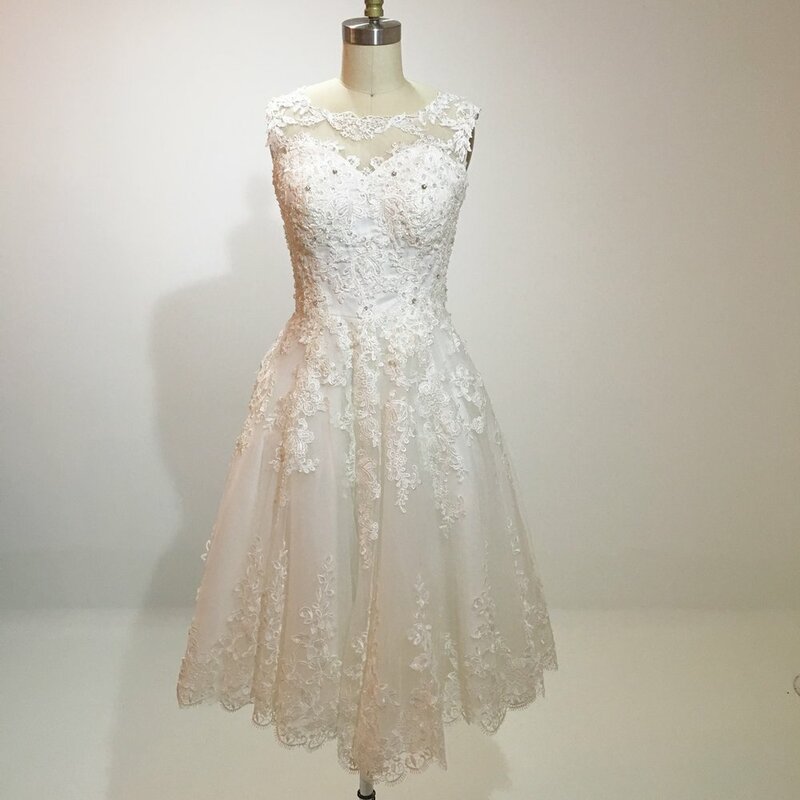 “Something Old, Something New: The Wedding Collection” was just recently released at Donna’s Dress Shop and we couldn’t wait to go see it in person. 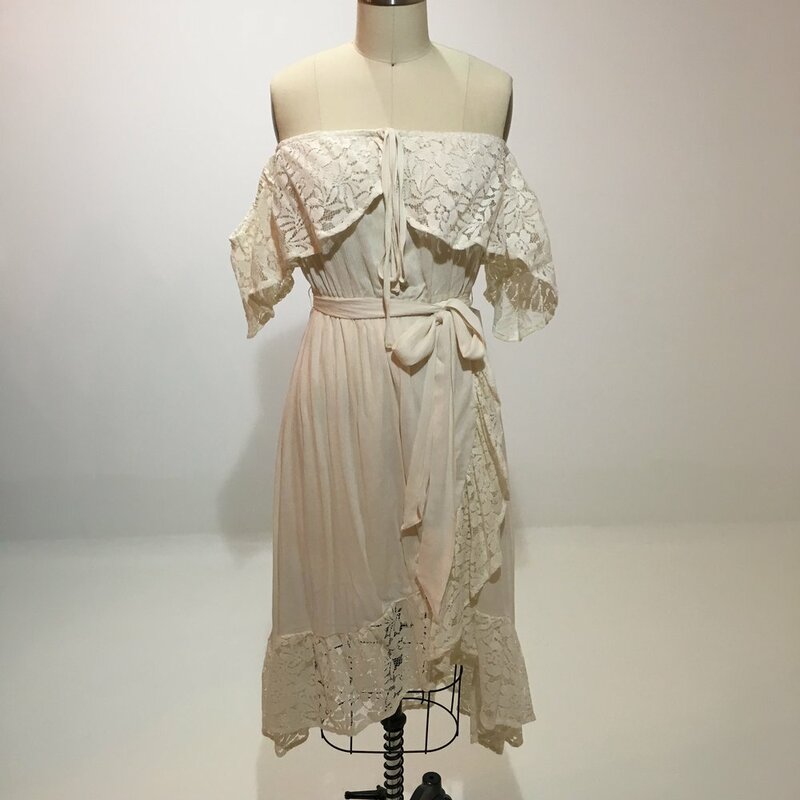 Donna describes the collection as being “for the gal that wants something a little different, something non-traditional, and something with an affordable price range…” and we can tell you, it is EXACTLY that! We also found that they have dresses for the entire bridal experience. 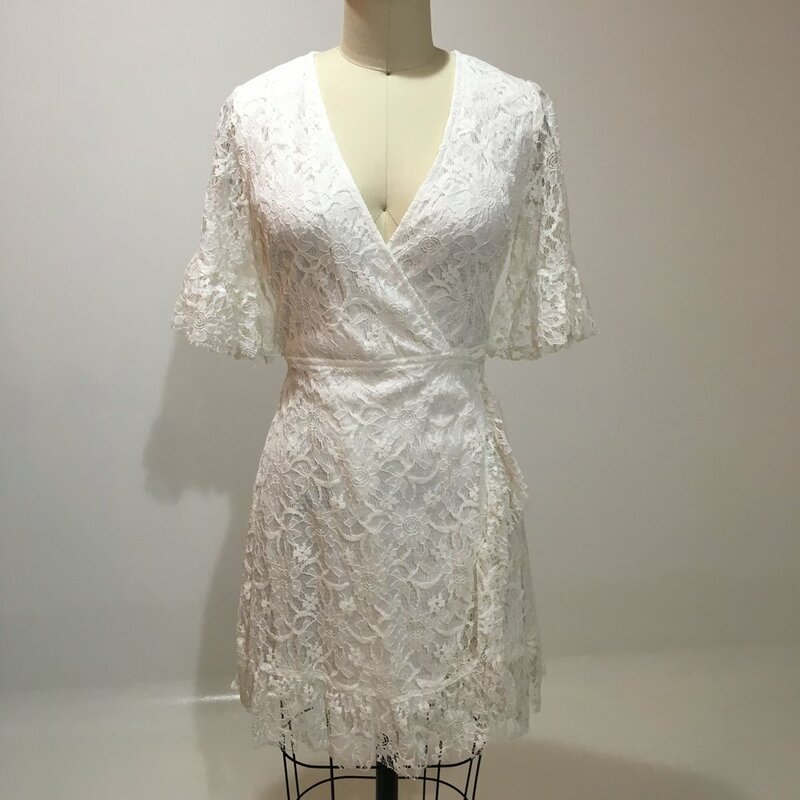 Whether you need a chic dress for the rehearsal dinner or something more daring for the bachelorette party, Donna’s has the dress of your dreams. 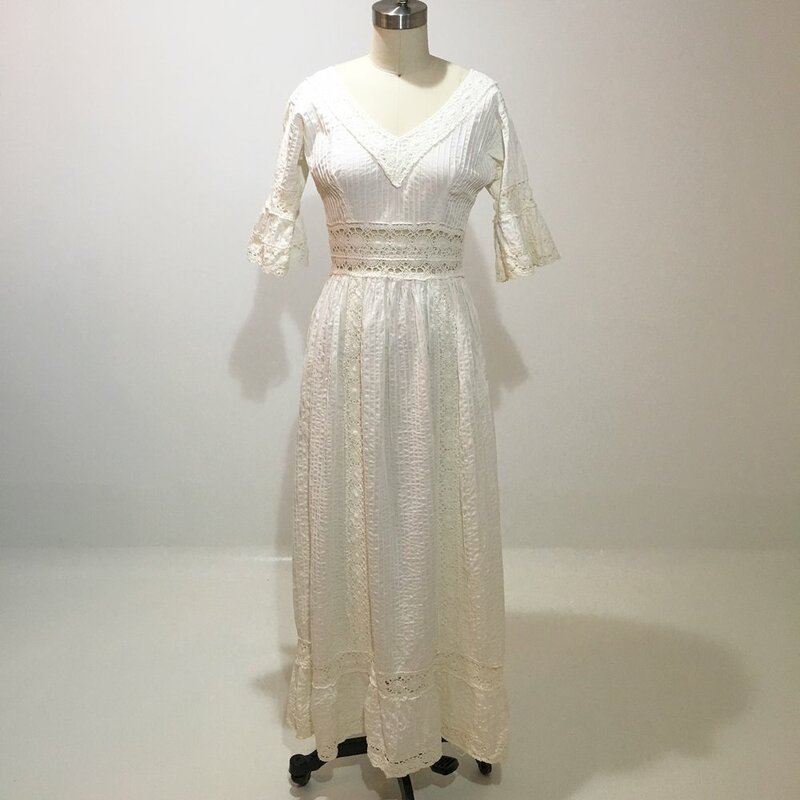 Of course, the collection is filled with bridal gowns from real 70’s era weddings, but also includes more modern dresses with touches of antique flair. We had so much fun playing dress up with these gorgeous gowns (see for yourself on our insta @thevowexchange) and we were seriously blown away by the variety in this high quality collection. Don’t just take our word for it, peruse some of our favorites below and then go try them on yourself! 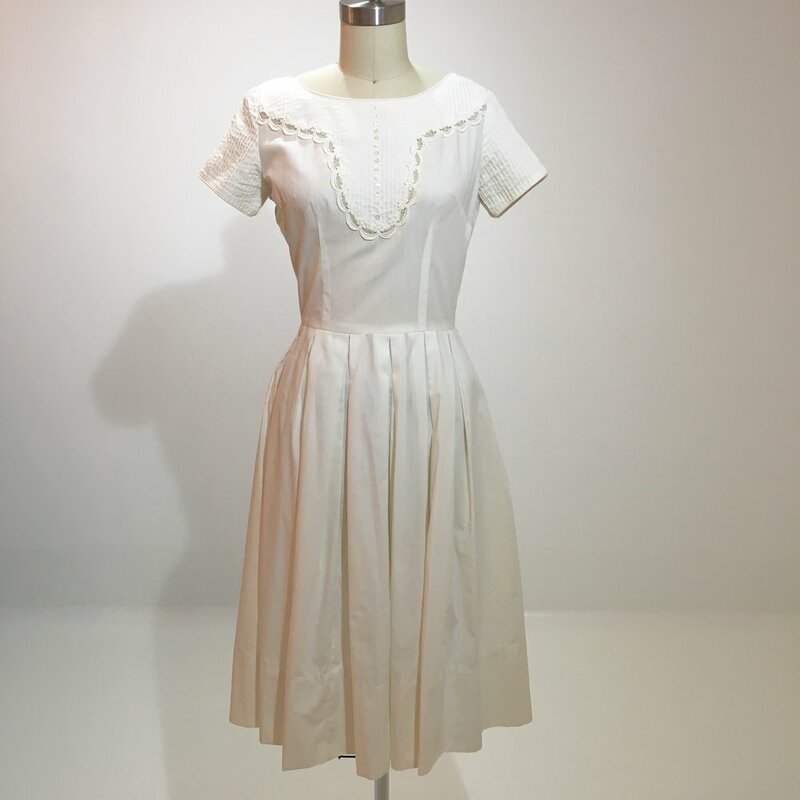 Found your vintage dress? Now get the accessories! Check out these vintage wedding accessories we found on Etsy, inspired by our Vow Exchange brides! OLD SCHOOL COOL: OUR 7 FAVORITE VINTAGE ACCESSORIES!